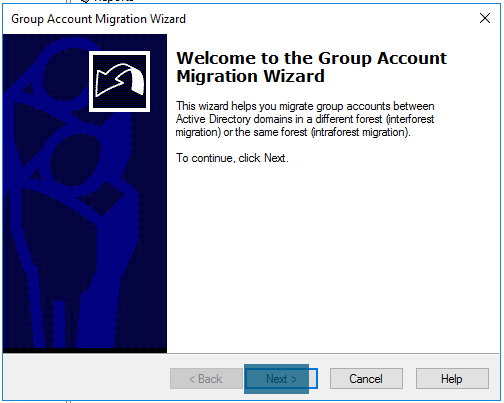 In this first blog post, I’ll walk you through to migrate Active Directory objects (users, groups, and workstations or member servers) between two domains in the same forest (Intraforest) using Active Directory Migration Tool (ADMT) 3.2. 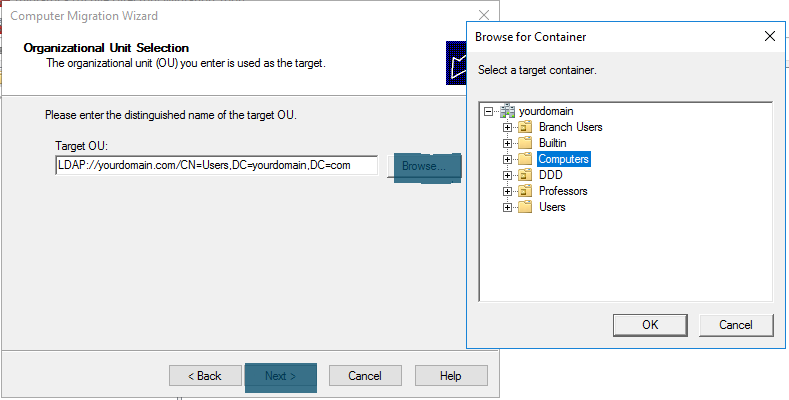 However, in this post, I’ll focus only on ADMT console and command line. 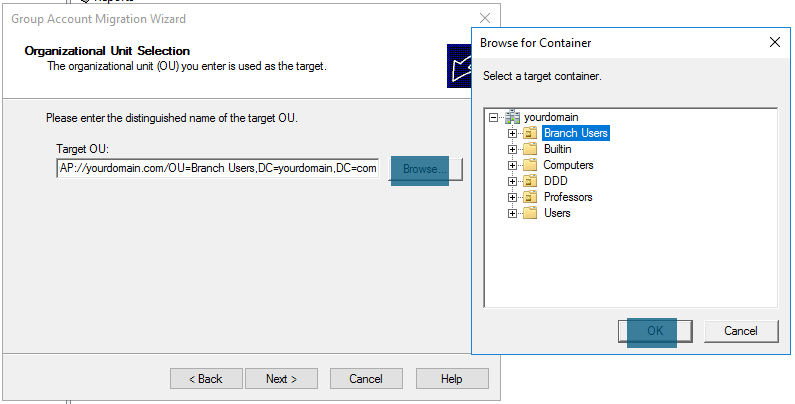 When you migrate objects between domains in the same forest, the migrated objects no longer exist in source domain except computer accounts which are copied. 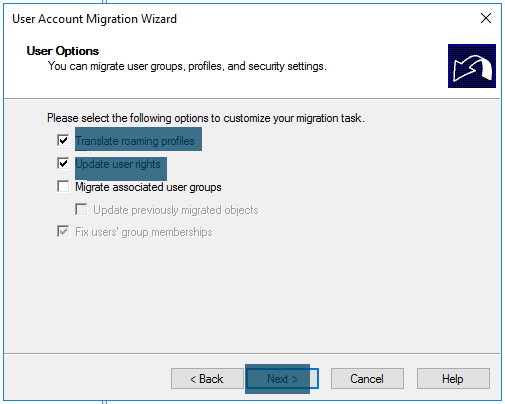 The following table lists some behaviours during the migration process. When you have a limited number of objects to migrate, you can directly specify them in a command line or in ADMT console. 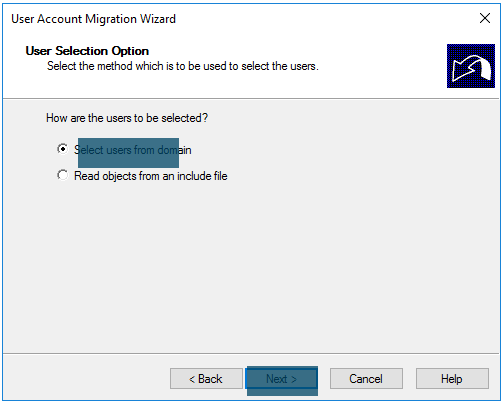 However, when you migrate a large number of objects, it is more efficient and less time consuming to specify them in an include file. 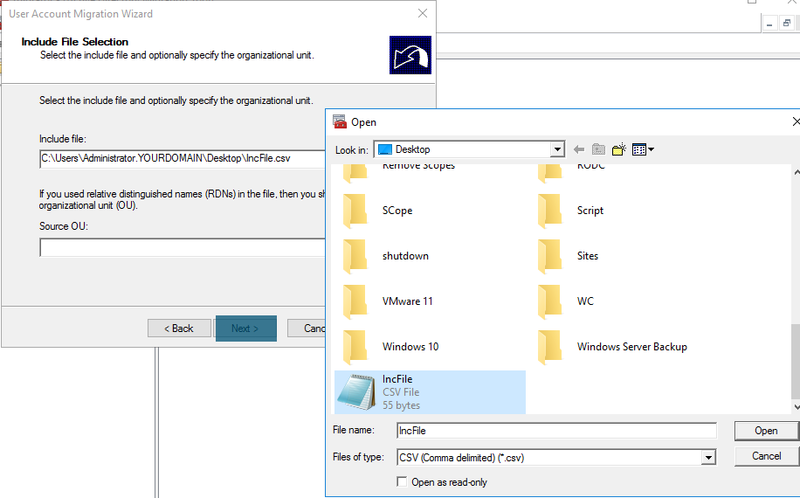 Include file is a text file in which you place each object on a separate line. 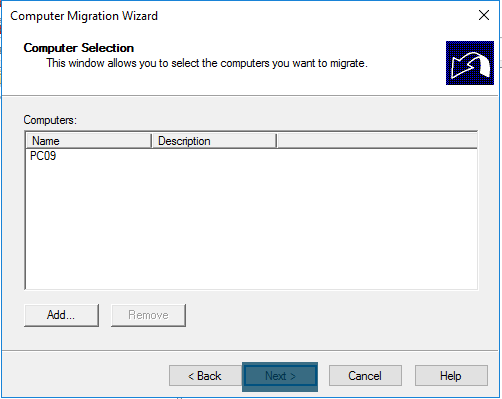 You can then provide the path of that file in ADMT console or command line during the migration process. The following table list fields of an include file with their explanation. 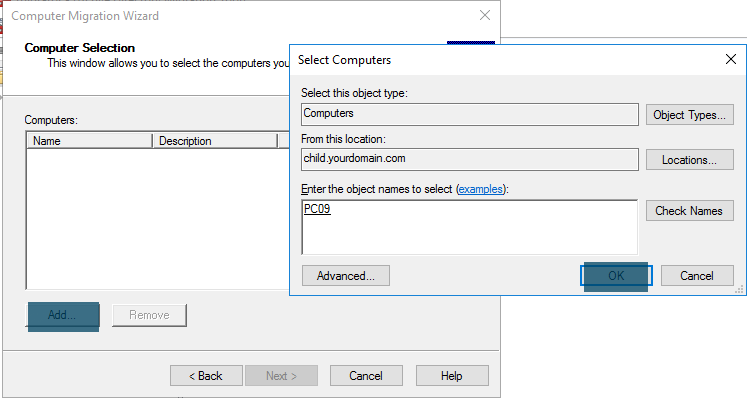 It is mandatory to specify source name of an object in include file while rest of the fields are optional. 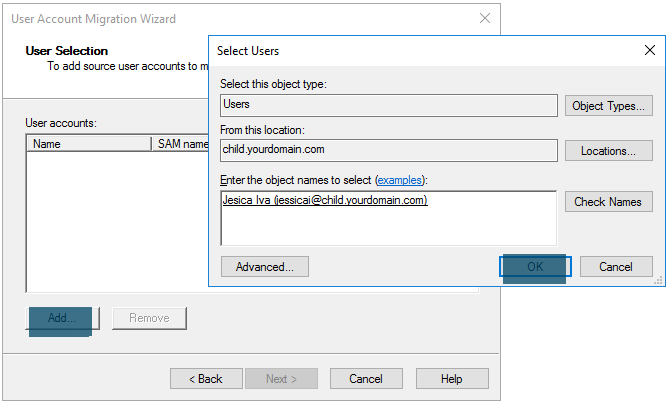 You can specify optional fields in any combination and in any order. 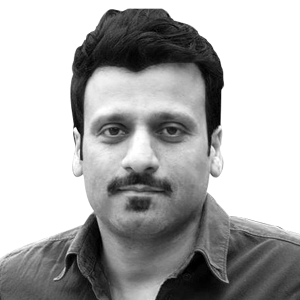 I have listed below few examples to make things more clear. 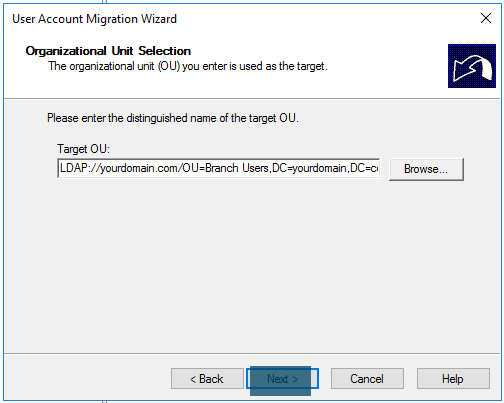 Identify the source, target domain and the organizational unit (OU) where you will place migrated objects. Create an assignment table and document the domain objects that you are migrating with their source and target locations. ADMT doesn’t have any built-in migration test options. You should develop a test plan separately and test each object during and after they are migrated to the target domain. Identify and correct any problems to make sure that the objects once migrated can access resources based on their group membership and credentials. The migration process is non-reversible and you cannot roll back changes. 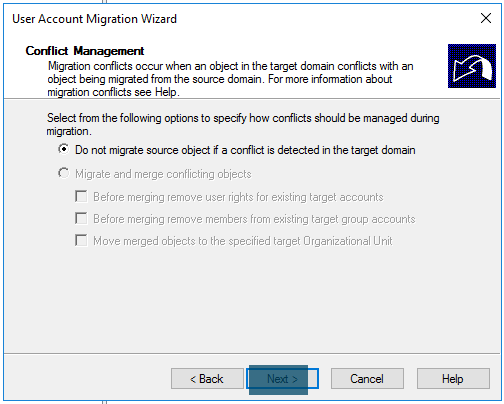 Once objects are migrated, the only way is to remigrate them from target domain back to the source domain. You should have a rollback plan and the method you will use to remigrate objects. 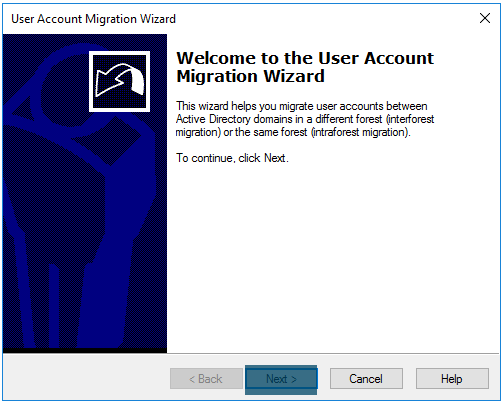 Inform all affected users beforehand about accounts migration plan and its schedule so that they are aware of the impact of the migration. 6. 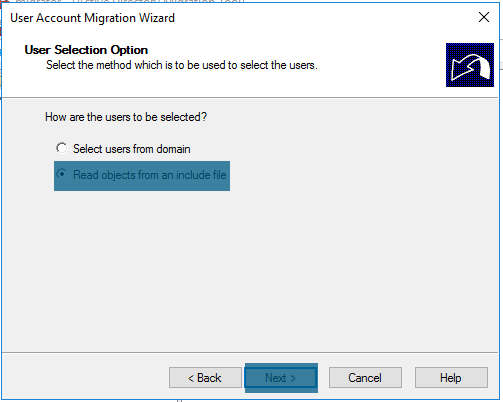 Download and install the latest version of Active Directory Migration Tool (ADMT) 3.2 in the target domain. Download and install the latest version of Active Directory Migration Tool (ADMT) 3.2 in the target domain. Each domain has a single domain controller and they are running on Windows Server 2016. 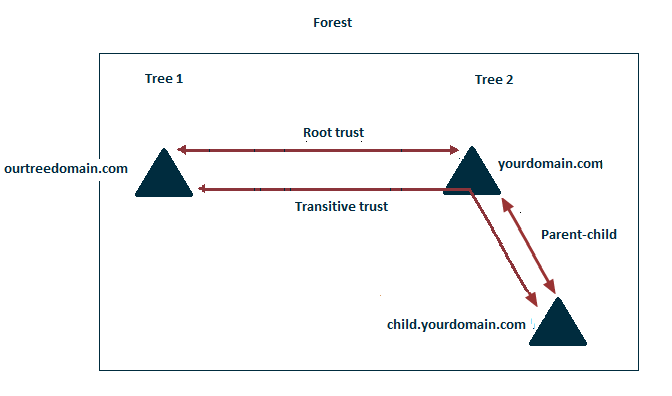 Default two-way trust is already created between domains since they are part of a single forest. The full topology is shown in the following figure. 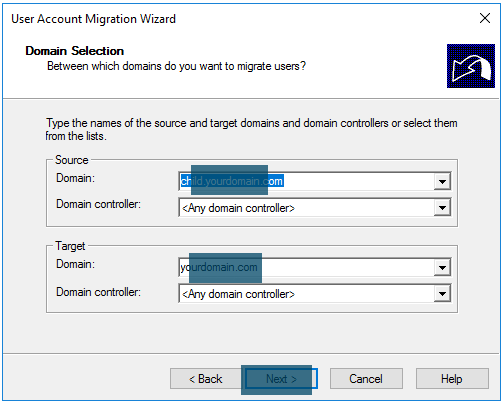 In this article, I’ll show you to migrate objects from child domain (child.yourdomain.com) to parent domain (yourdomain.com). 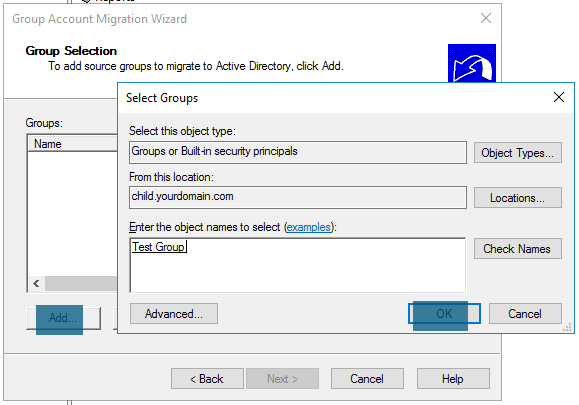 The process is same if you migrate between tree domain (ourtreedomain.com) and child domain or vice versa because there is a default transitive trust between them. 14. Open Active Directory Users and Computers snap-in and verify the user account in target OU. 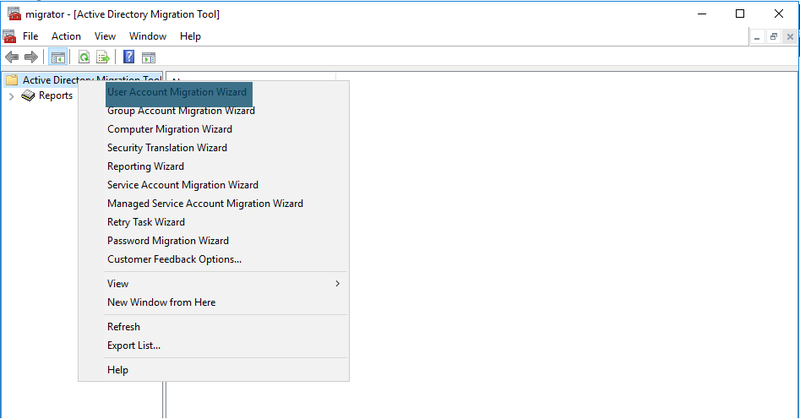 Steps 1,2, 3, 4 are similar to single user migration wizard. However, proceed as follow after step 4. 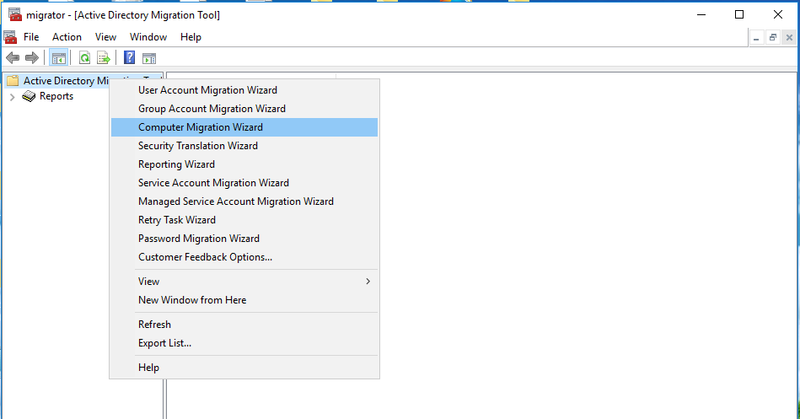 When you are done with above steps, proceed with step 8 of single user migration wizard and follow it till the end. 12. Open Active Directory Users and Computers snap-in and verify the group account in target OU. When you are migrating multiple groups using an include file, first four steps are same from single group migration wizard. From step 5, proceed as follow. When you are done with above steps, proceed to step 7 of single group migration wizard and follow it till the end. 17. 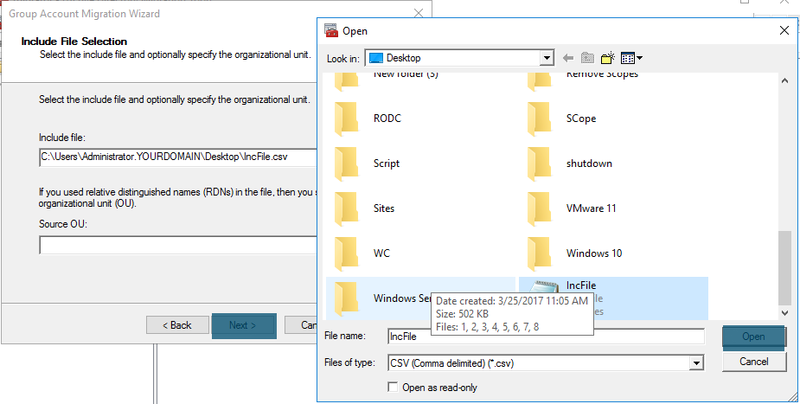 Open Active Directory Users and Computers snap-in and verify the computer account in target OU. When you are done with above two steps, proceed with step 8 of single computer migration wizard and follow it till the end. 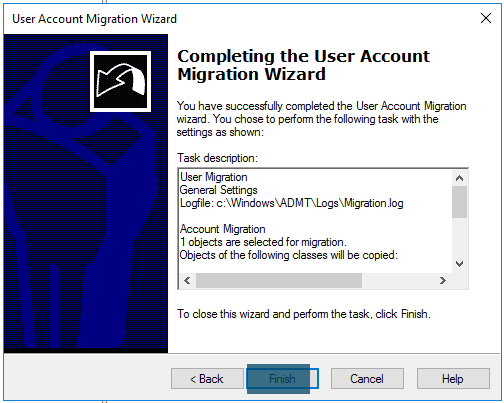 Log in with ADMT migration account on the computer in target or parent domain where ADMT is installed. 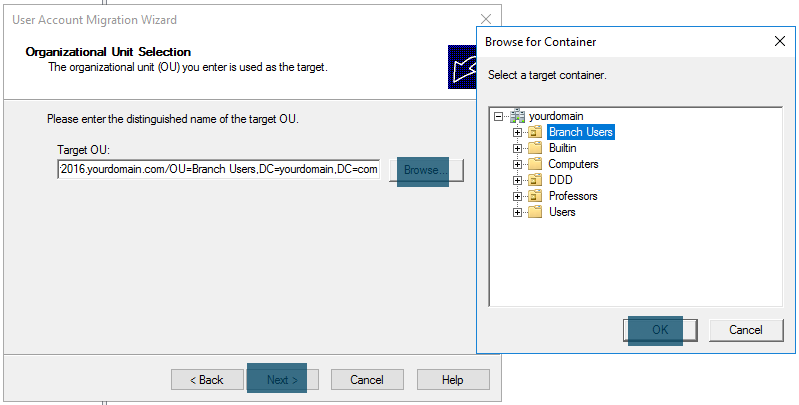 open PowerShell with elevated privileges and execute one of the following commands. 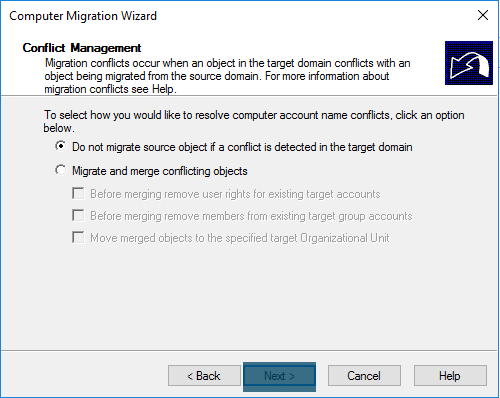 After the migration, open Active Directory Users and Computers snap-in and verify the migrated objects in target OU. 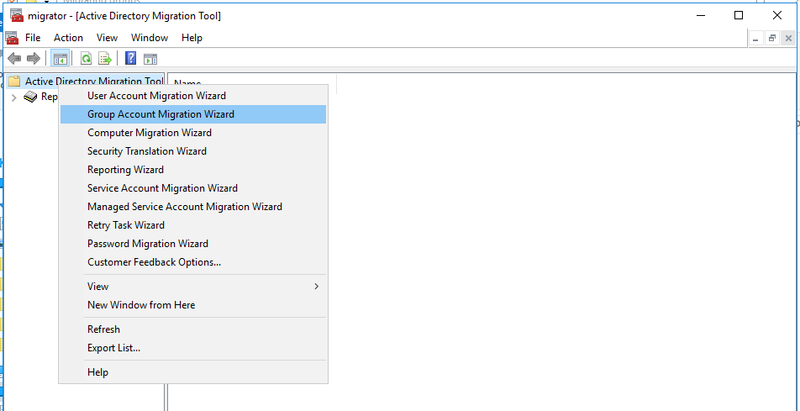 Execute the following command on PowerShell. 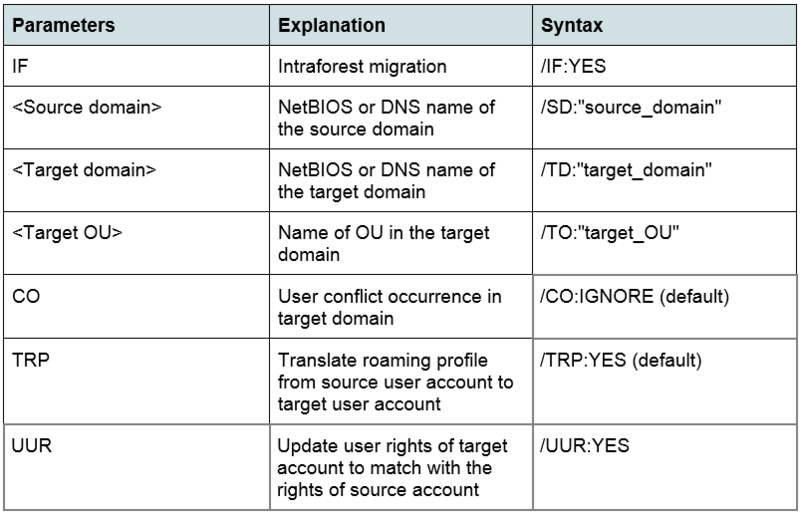 The following table lists the required parameters, explanation and their syntax for migrating user accounts in intraforest. The following table lists the required parameters and their syntax for migrating global groups in intraforest. 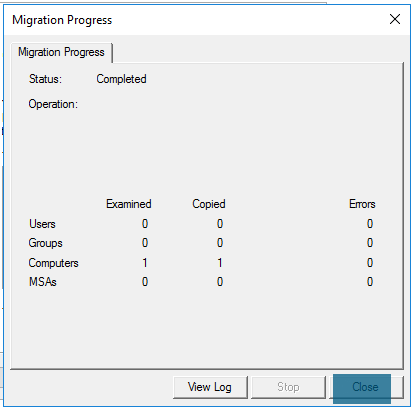 Following table list the required parameters and their syntax for migrating workstations or member servers in intraforest. Today, I have covered AD objects migration including users, groups and computers account in the same forest with ADMT snap-in and PowerShell. 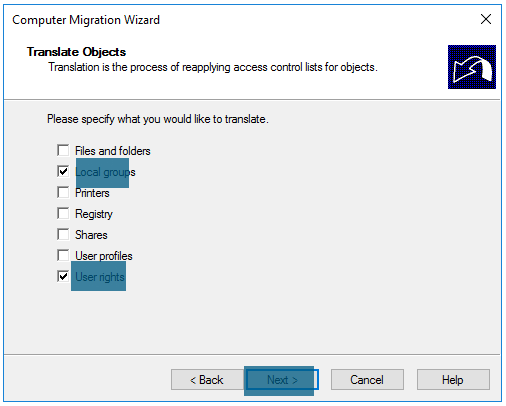 However, intraforest migration is not about moving only these three AD objects. Security translation, service, and managed service account migration are still left and I’ll cover them in other blog posts.